The Internet has opened up a world of information on just about every subject imaginable. 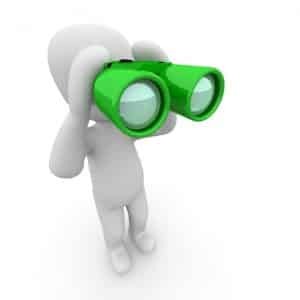 In fact, there’s so much information, it can sometimes be difficult to find one very specific thing; in this case, trying to find someone online can often feel like a looking for a needle in the world’s biggest haystack. Fortunately, USA Trace has outlined the three most popular people search methods for you, which should help you find who you’re looking for in no time. Social media is a great place to start when you’re looking for someone. Facebook, in particular, is a great resource because they encourage people to use their real names (though, unfortunately, not everyone does) and because of the sheer volume of people that have accounts (over 1 billion people). If you don’t already have your own account, simply create one and search for the person you’re looking for by name. Most often, people have a small photo of themselves as their profile picture, so – even if you receive a lot of results – you should hopefully be able to identify the one you’re looking for. The limitation of this is, of course, that not everyone has a Facebook or other social media account. In addition, even if the person you’re looking for does have an account, not everyone makes their information public. Finally, not everyone uses their real name or – in the case of someone who has changed their name (i.e. they have a new married name), not everyone references their maiden name. 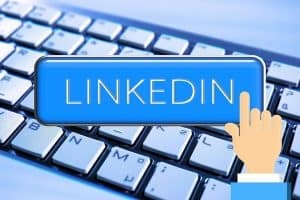 LinkedIn was designed with professional networking in mind, so people are more likely to use their real names, which makes finding people relatively straight forward. Pictures are also almost always included with a LinkedIn profile, so you’ll have a good opportunity to confirm you’ve found the right person. The downside is that there are far fewer people that have a LinkedIn account than those that have a Facebook account (about 1/3 the number, in fact). In addition, in order to access any specific information about a person, you have to create your own account AND the person you are looking at is notified that you were looking at their profile! For some situations, this may not matter, but there are plenty of good reasons a person might want to keep their research a little more discreet. Easily the most reliable way to find someone, people finder websites specialize in locating people in the US with just a name and last known state therefore it’s a great way to. With a search, you will not only receive a current address, but also a phone number and many other public record details (marital status, criminal records, etc.) – instantly. Yes, it does come at a cost (around $10), but you get free preview results that will help ensure you’ve got the right person and are going to get your money’s worth. So, while option 1 and 2 might work for you (and free information is always great), if you’re looking for fast, accurate and detailed results, we highly recommend a people finder site. You can even try an instant search below for free to see what kind of results you get. 3. Can I check Divorce Records Online? This entry was posted in Finding People and tagged Facebook, Find Someone Online, How to find someone online, LinkedIn. Bookmark the permalink.